Pfizer has appointed Tonic Life Communications to promote Centrum Multivitamin, the world's number one multivitamin brand. 40- year-olds, by communicating the positive role that multivitamins can play in helping people to live more healthily. According to research firm Mintel, 25- to 34-year-olds are the most sceptical about vitamins and supplements, and are light users. Tonic’s campaign will communicate the need for a healthy work/life balance and include a media relations programme supported by dedicated online activity promoting consumer engagement. The campaign, which is set to run throughout 2011, is to be handled by Matthew Coy, senior account manager, Tonic Life Communications. He will report to Sasha Whipman, brand manager, Pfizer Consumer Healthcare. 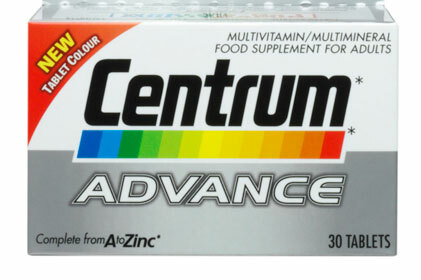 Based on worldwide sales, Centrum is the best-selling multivitamin brand. However, Seven Seas is the single largest brand within the UK’s vitamins and supplements market, with an estimated 21 per cent market share in 2009. Last week, Pfizer announced it had entered into an agreement to purchase Ferrosan’s consumer healthcare business from Altor 2003 Fund GP. Based in Copen-hagen, Ferrosan is a long-established consumer healthcare firm in the Nordic region, with a portfolio of dietary supplements and lifestyle products.